Wanda E. Brunstetter pens a compelling new 6-part serial novel along with her daughter-in-law, Jean. When Joel Byler, prodigal son, returns to his Amish father to ask for money-again-he receives a chilly reception. When will the worldly young man learn he most pay for his own mistakes-and at what cost? 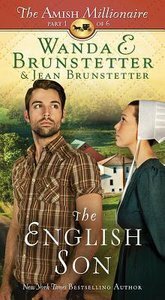 About "The English Son (#01 in The Amish Millionaire Series)"